Cyanobacteria are tiny, hardy organisms. Each cell is 25 times smaller than a human hair, but don't let the size fool you. Their collective ability to do expand photosynthesis is why we have air to breathe and a diverse and complex biosphere. The lab of Cheryl Kerfeld recently discovered a family of proteins, the Helical Carotenoid Protein (HCP), who are the evolutionary ancestors of today's photoprotective proteins. Although ancient, HCP still live on alongside their modern descendants. "We don't think that the dimer is the protein's form when it is in the cyanobacteria," says Maria Agustina (Tina) Dominguez-Martin, a post-doc in the Kerfeld lab. "Most likely, HCP2 binds to a yet unknown partner. The dimer situation during crystallization is artificial, because the only available molecules in the environment are others like itself." The scientists try to determine HCP2s functions. It is a good quencher of expand reactive oxygen species, damaging byproducts of photosynthesis. But since many other proteins can do that as well, Tina doesn't think that is HCP2's main function. "We have yet to identify a primary function," Tina says. "The difficulty is that the HCP family is a recent discovery, so we don't have much basis for comparison." "There are 9 evolutionary families of HCP to explore. That adds up to hundreds of variants with possibly distinctive functions that we have yet to discover," she adds. "With that in mind, we're characterizing other proteins from the HCP family to expand our available data set." 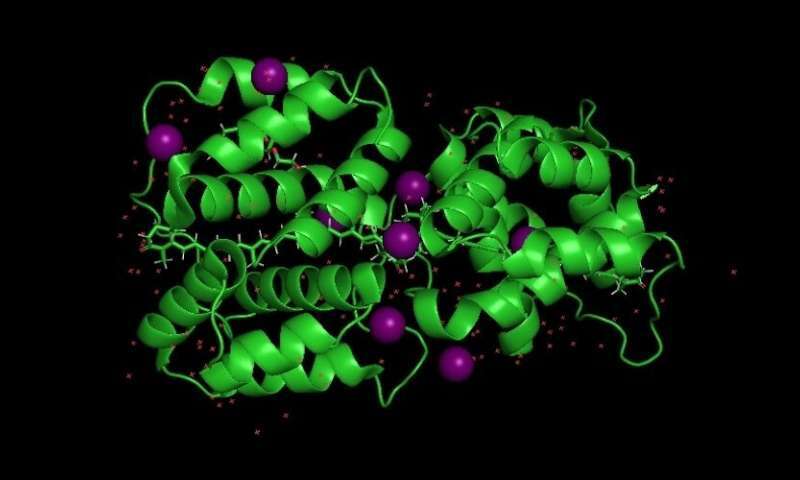 Because these proteins likely play a role in photoprotection, they may represent a system that scientists could engineer for "smart photoprotection," reducing wasteful photoprotection which would then help photosynthetic organisms become more efficient.